As artists and creators, as healers and counselors, in our hearts we want to know that there is value in what we are creating and offering; knowing we are co-participating with the muses speaking through us. We all have a journey in life. Here’s a brief story about my own journey as an artist and astrologer. As early as I can remember I was excited about what I was creating. I believe this is the key for anyone to grow as a creator and artist; we simply need to believe in ourselves and be excited about what we are doing. In 1st grade, for reasons I don’t really understand, one of my paintings was chosen to be shown in a student art show in the state capitol. I remember traveling to Madison, Wisconsin with my mom to see my work on display. This experience helped foster my own sense of valuing myself and what I uniquely create. I wish this for everyone - to value what comes through you into this world. 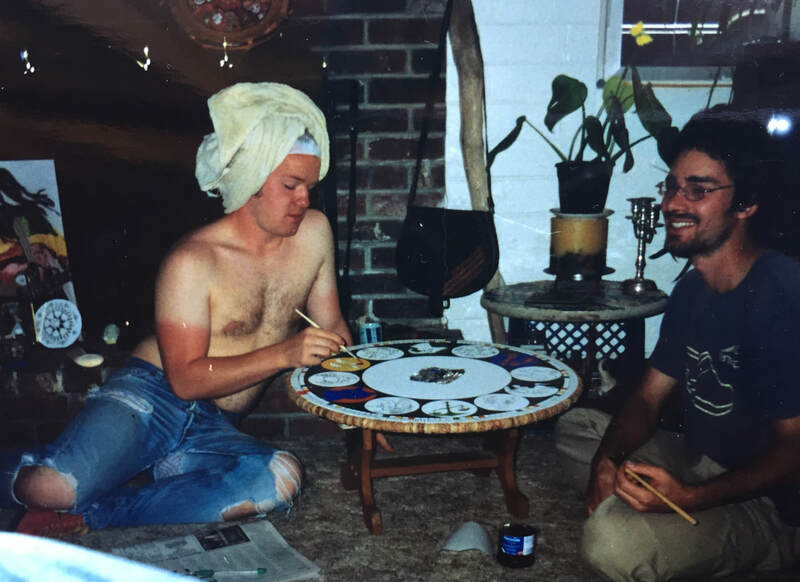 In middle school and high school, art classes were certainly some of my favorite times - not just what I was creating, but to see and be part of a community of artists. As I went onto college, I felt quite lost on my journey of life and what I would do. My understanding of being an artist had been reduced and limited by the social experience. I was lacking vision and understanding of possibilities; lacking hope that being a creator is a viable path. Sadly, this is true for many people in the USA. I took as many art studio classes as I could at University La Crosse - Wisconsin. Pouring bronze and wood firing were a couple of the most inspiring events of this time, along with the relationships to some of my amazing teachers. 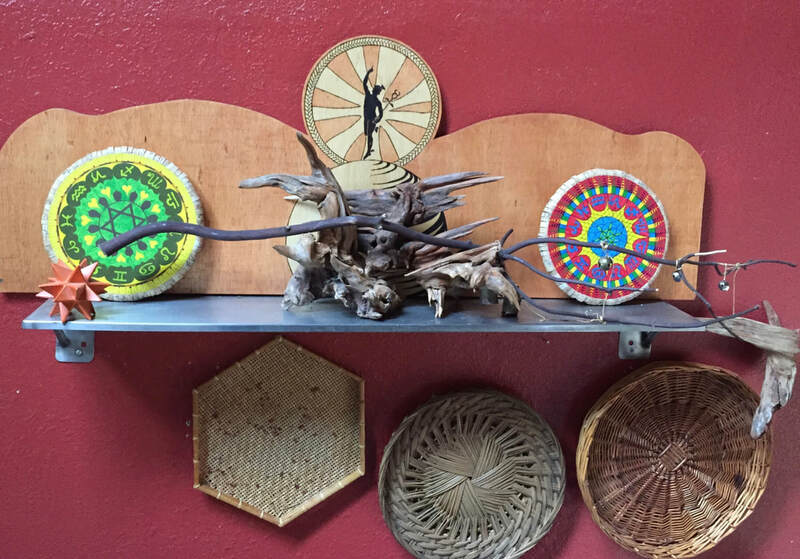 Coming over to Dr. Tulla Lightfoot’s house and just hanging out and talking about life and art and the challenges and inspirations - very meaningful experiences for me. Another key relationship during these years was with Dr. Chad Oness. 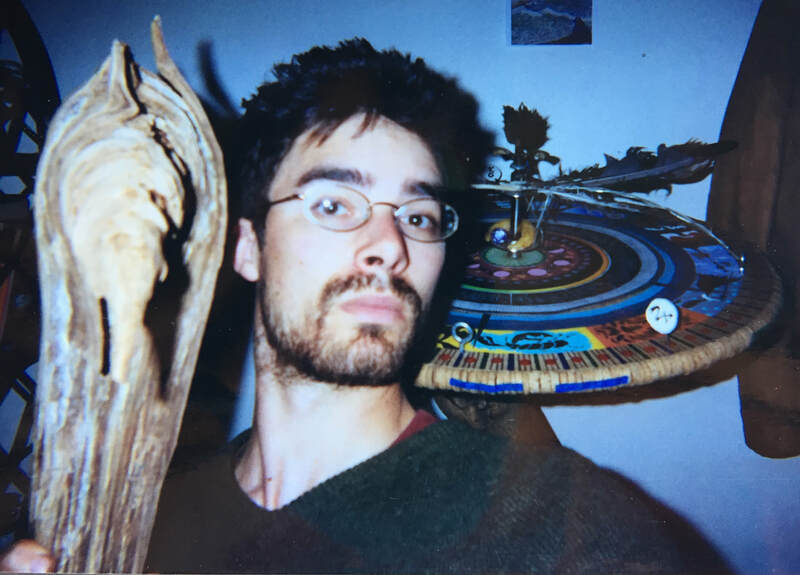 (Sutton Hoo Press) Chad taught me book binding, literary fine press printing, and reminded me how we are nourished by the arts. Another inspiration during this time was painting murals on campus. Between my 3rd and 4th year of college I became heavily involved in a couple activist groups in La Crosse. We were combining art and activism in group efforts to save local marshlands, habitat, and housing from development. After this activism climaxed in a successful vote to block the pending destruction, I became a recluse and painted a 100 sumi ink paintings in November and December of 1998. I was technically in school still, but the only thing that really mattered was having the muses speak through me. Most of these paintings the world has yet to see; my hidden personal vault. And then I came home to astrology in December of 1998. Neptune had just entered Aquarius and was about to cross my Sun. I left college in the winter of 1999 at the start of the second semester in my 4th year; much to the dismay of my family. But in that moment school had become totally meaningless for me. I cared so much more about liberating myself from the path in life we ‘should’ follow. What ‘made sense’ was making no sense. And so I chose an alternative path. I lived Astrology from that day onward. Immediately I was using art to help me understand astrology. This picture is perhaps my 3rd astrological mandala I created, likely in winter of 1999. 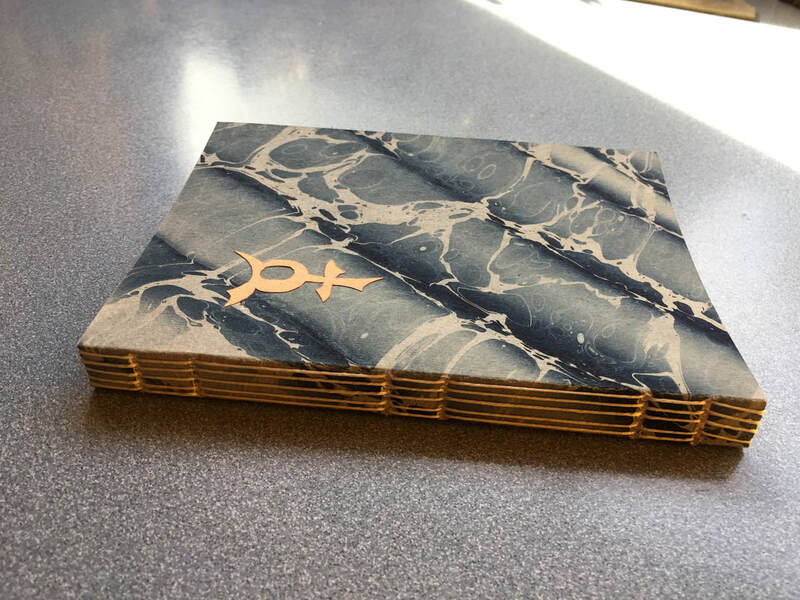 By painting the zodiac on wood, gluing a cork ring, and writing planet glyphs on the top of push pins I would track planetary movement in relation to my own chart. I was using Rob Hand’s Planets in Transits daily to track and read planetary transits. Honestly, I was so blown away! I struggled having no one to talk to about astrology; I was a little angry that this thing called astrology existed and no one had told me about it! I moved to Olympia, Washington in 2000 and have been here since. 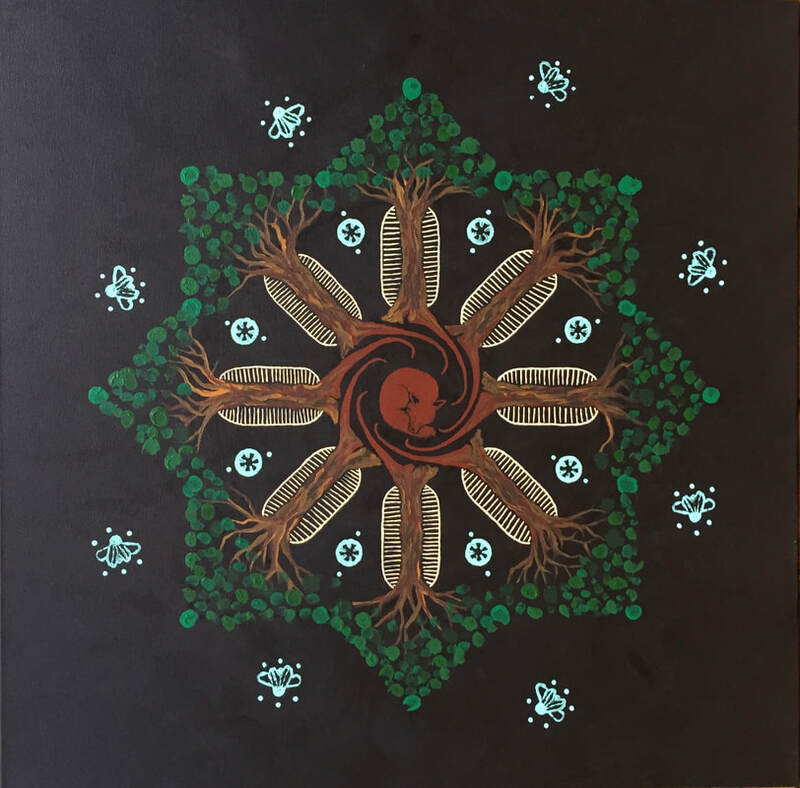 Initially I was creating astrological mandalas as drawings on paper and painting on wood. Then I got involved in street paintings in 2003. This photo is the first of my designs to be painted on the street, behind the library downtown. This was a permanent street painting that was repainted for years. In this photo I was facilitating a tempera paint temporary street painting just before the Procession of the Species in Olympia; maybe ’05 or ‘06. I believe we create every day in small and big ways, whether or not we see what we are doing in the world as creating and contributing to a larger collective experience. Creating art daily with food and objects in the immediate environment has always been an inspiring way for me to appreciate the beauty of life and the Earth. 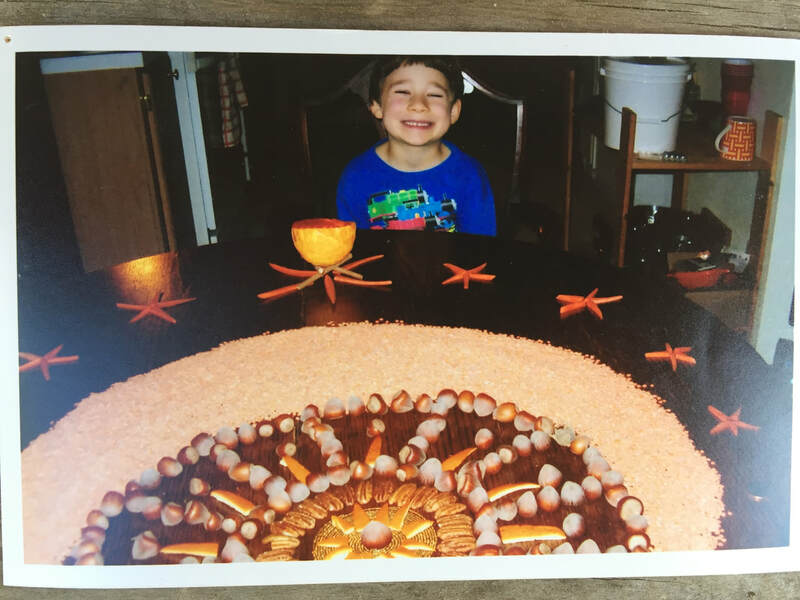 Here is photo of my son Quetzal with a red lentil mandala we created as a family. In this period of my life as a parent, I started listening to and supporting L.A. Underground Hip-Hop; music that continues to inspire my life. This photo was a flyer I did (2007 or 08?) celebrating 2mex coming to Oly with Existereo, Life Rexall, and DJ Pickster One. I like this piece because you can see the influences of astrology, geometry, and archetypal art in this composition. When I first came to the West Coast, I had a lot of real out there wild ideas about astrology. 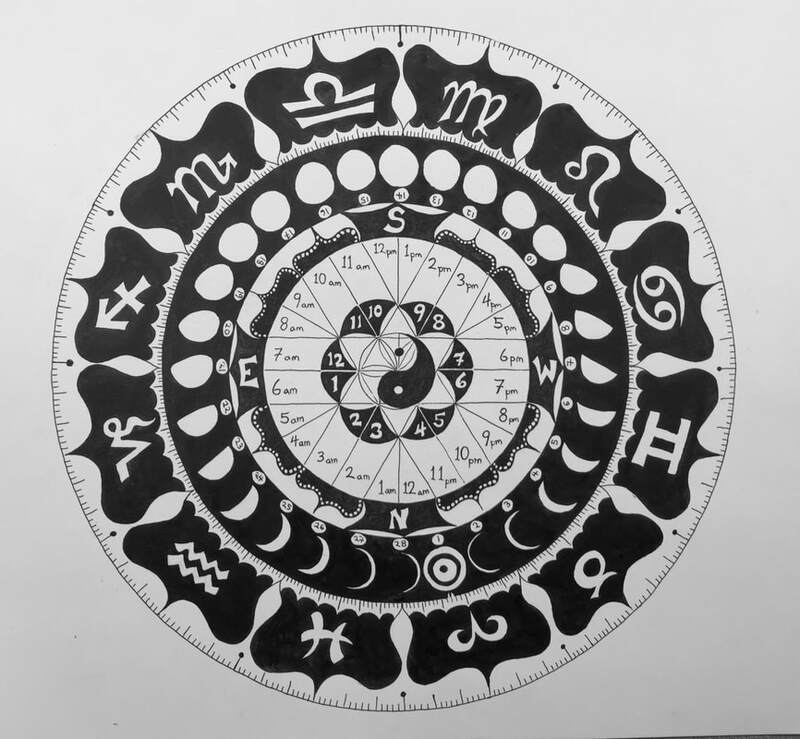 I was using a spinning zodiac wheel I created as a divination tool to spin sabian symbols, I was spinning charts for each degree of the zodiac, and I was casting charts from the point of view of Mercury, Venus, and Mars using a scale model of the solar system. This photo is the blueprint for a 3 wheel astrological mandala that was intended to be used as a meditation tool, sitting and physically aligning with the planetary rays - to actually connect directionally in space and time to the planets. I have yet to really get into using that; perhaps someday. If you take that idea, at least give me some credit here. While I was ‘way out there’ in concepts and perspective, I found myself struggling with reading charts for people. I’d over prepare and lay out massive detailed life analysis with arcs, progressions, transits, midpoints; so much information that I would overwork, preparing for hours. Afterward folks would say they liked the readings, but often didn’t really remember any key messages. My turning point in becoming confident reading a chart started with finding Evolutionary Astrology in 2008. I decided to immerse myself in the teachings to really learn it - I was studying the on-line at the School of Evolutionary Astrology Message Board, I got the DVD course plus countless Jeffrey Wolf Green lectures, and I think I carried around Pluto: Evolutionary Journey of the Soul every day for about 15 months. My love for Evolutionary Astrology is because of how simple and effective it was to reach the core issues someone would be facing in life, while offering a clear path to work with and grow through these challenges. Today, Evolutionary Astrology is still the foundation of my approach to astrology. Simultaneously, the relationship between geometry, the zodiac, and cycles of time continued to be an inspiration for me. Starting with drawing the seven circles and twelve rays is still how a lot of my artwork begins, even if it is just used to divide the space into quarters and eights. In terms of my own creative process: Sometimes I see stuff, but a lot of times I have no idea what I’m creating or what the creation will look like until it is done. A recent rewarding experience in winter of 2018; I was asked to sit at the Illuminated Ball and ‘capture the pageant’ in a painting. This 3’ x 3’ canvas was painted the night of this event. 2018 was a big year for me, traveling to Chicago to sell my art at the United Astrology Conference #UAC2018 and starting my online store. I sincerely hope my offerings bring joy, inspiration, cosmic intelligence, and love into the world.